Imran Khan said a charter of demands is being prepared by the PTI based on the 40 findings given by the Judicial Commission constituted to assess rigging in the 2013 elections. 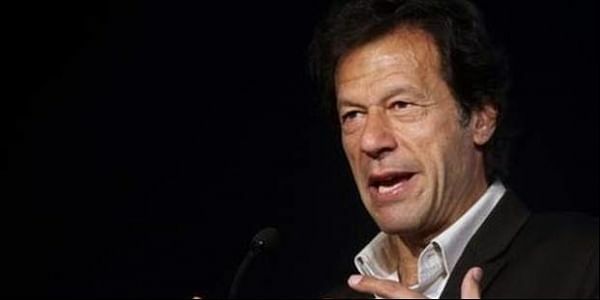 ISLAMABAD: Pakistan Tehreek-i-Insaf (PTI) chairman Imran Khan has said that his party will use “street power” to block the next general elections if they are announced without electoral reforms. He said a charter of demands is being prepared by the PTI based on the 40 findings given by the Judicial Commission constituted to assess rigging in the 2013 elections. “The PTI will assert that at least 10 steps must be taken before the announcement of the next general elections. In case of ignoring the party demands, we will use street power before the next general elections.” the Dawn quoted Khan as saying. The PTI chief said that his party’s plan has been kept on hold till the Supreme Court delivers its verdict in the Panamagate case. He said that a team has to take measures to get a neutral empire before a match as nobody listens when you lose a match. Asserting that the present commission was constituted by the PML-N and PPP, Khan said the PTI would ensure that the Election Commission of Pakistan is reconstituted. The cricketer-turned politician expressed disappointed as his party’s efforts to pressurize the ECP to introduce electronic voting machines that should also carry paper trail went in vain. Khan said that the parliamentary board would be constituted at federal and provincial levels after the announcement of Panama Papers case judgement.